Best Realtors with long time experience! Since 1937, our Zamarelli family has been helping those in our communities sell and purchase both residential and commercial properties. 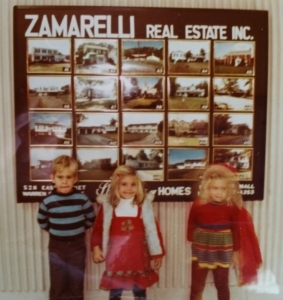 Our grandparents, Carmella and Frank Zamarelli, started the real estate company in Warren, Ohio, where the Zamarelli real estate family tradition began. 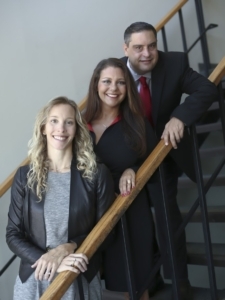 It has been an experience like no other to have come from what we refer to as, “real estate blood.” The three of us, (Frank, Maureen and Theresa) have had a love for the business at a very young age. We even remember building tents made from blankets to sell in our living room! We also remember consistently tagging along with our parents to view houses. While in grade school and high school, we spent numerous days working at the real estate office. Through our experiences, our parents were constantly teaching us good values. This was their first priority. Honesty, Sincerity and Integrity are part of us. Our dedication assures our clients get the best service possible. Remember, real estate is in our blood! We were the youngest individuals in Ohio to take complete real estate classes and obtain our real estate licenses. In fact, our father, Ed Zamarelli, would drive us to real estate classes on the weekends while we were still in high school! He was always so proud of us and just loved watching us work in the real estate business. He was our teacher and known as the best in the business. Our mother also had her real estate license and worked in the real estate mortgage business for a time in addition to her education teaching background. She also taught us an incredible amount about the business, always stressing solid values. Sadly, in recent years, we lost our parents and grandparents. It was a difficult time but we are extremely grateful to have had the guidance, experience, knowledge and love for the business to continue to share with you. In keeping with our extraordinary reputation, we are eager, excited and honored to continue to serve you. We strive to make our clients happy while exceeding their expectations through continuing the family business and making our parents proud. The values our parents instilled in us have made us the professionals we are today. There really is nothing like family. With Zamarelli Realty working for you we hope to make you feel part of ours! Frank Zamarelli Is the oldest sibling. He attended Youngstown State University while selling real estate at the age of 18. Frank is also a licensed Real Estate Broker. He has received numerous real estate awards including million dollar producer. Frank also earned his GRI (Graduate of Real Estate Institute) to further his real estate education. 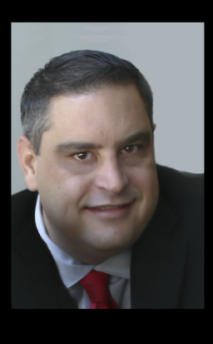 He is experienced in both residential and commercial real estate. Frank has a daughter, Sadee, who is his pride and joy. Maureen Zamarelli is the second oldest sibling. She is a graduate of Saint Mary’s College, Notre Dame with a degree in Social Work and Minor in Business. She worked in the real estate business while home in the summers during college. 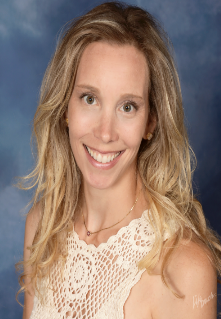 After graduating from Saint Mary’s, she came home to Warren, Ohio to continue her work in the real estate business with her family. Maureen also had her Florida Real Estate license where she gained even more experience and education. In addition to her real estate license, Maureen is a Graduate of the Real Estate Institute – GRI designation. Theresa Zamarelli HIll is the youngest sibling. She is a graduate of Saint Mary’s College, Notre Dame with a degree in Finance and Accounting. She also worked in the summers during college until she came home to work full time after graduation. 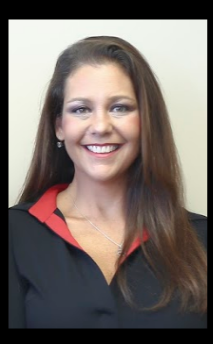 She also has her GRI (Graduate of the Real Estate Institute and ABR (Accredited Buyer’s Representative) and is a Certified Staging Consultant CSC designation. Theresa is licensed in Illinois and is married with three children. She is consistently in Ohio working with the company and is an expert to those relocating to and from our Trumbull and Mahoning Counties. Thank you for visiting Zamarelli Realty!